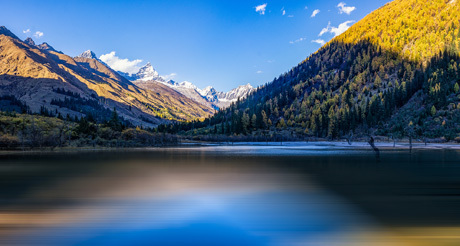 Known also as the Nine Villages Valley, the legendary Jiuzhaigou is a natural wonder with rushing waterfalls, blue lakes, deep green trees, several varieties of wildlife and snow-capped mountain. Note: Due to the extensive damage from the 8th August 2017 earthquake, Jiuzhaigou was closed in 2017 and there is no specific re-opening date yet. In the meantime, we recommend Leshan Giant Buddha and Mount Emei or Mount Siguniang (Four Girls Mountains) as an alternative. If you love natural scenery, you may also consider to visit Zhangjiajie or Huangshan instead. Please feel free to inquire if interested. 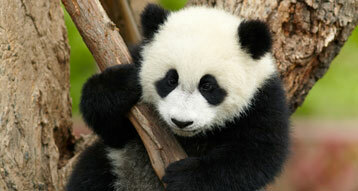 Discover the Mount Siguniang and Wolong Panda Center, the hidden gems of Mother Nature. Must-sees in Chengdu, Giant Pandas and UNESCO World Heritage Sites. Most the most of your time. Enjoy breath-taking view of Jiuzhaigou and Huanglong National Park, without missing classic highlights in Chengdu. We utilize all the resources to concentrate on a 2-day tour in the peak season (May to October) for you. 1. Is it possible to get altitude sickness? At Jiuzhaigou, the altitude varies a lot. For example, the valley entrance is at about 2,000 meters, while the airport is at about 3,500 meters. Vulnerability to altitude sickness varies from person to person, so it is suggested you consult your doctor before the trip. Visitors with heart disease or high blood pressure should be careful and take appropriate precautions when traveling to Jiuzhaigou. Please do not do any strenuous exercise, or drink wine. Keep warm and eat more vegetables and fruits. Take some common medicines with you. If you like, your guide can prepare a small oxygen bottle for you, just in case. 2. 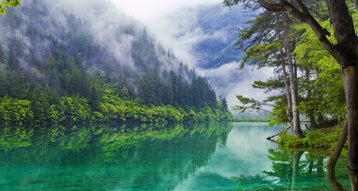 When is the best time to visit Jiuzhaigou? The best time to visit is September through early November, when you ‘re most likely to have blue skies and blazing autumn colors to contrast with the turquoise lakes. Summer (June to August) is the busiest time due to the summer holiday. The optimum capacity number of tourism for the park is 15,000 per day, but during summer holiday time, the maximum capacity would reach as big as 40,000 per day. It&apos;s also the rainiest time to go. Spring (March to May) can be cold (1°C/34 °F ~ 14°C/57°F), but still pleasant with fewer tourists around. Winter (Late November to February of next year) is frigid (-6°C/21°F ~ 7°C/45°F), but you can see dramatics ice-coated trees and frozen waterfalls. Huanglong Scenic Area may be closed in winter. If you would like to visit Huanglong and Jiuzhaigou together, try other warmer time. 3. What are the hotels like in Jiuzhaigou? The most popular place for hotels is Zhangzha Town, which is closest to the entrance of Jiuzhaigou Nature Reserve. 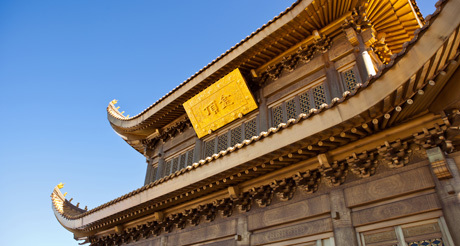 Zhangzha has a wide range of accommodation, from 5* hotels to budget hostels. If you prefer to be close to Huanglong National Park or Jiuzhuang Airport, you may choose a hotel in Chuanzhusi County. If Muni Valley (Munigou) is on your list of places-to-go, you may consider staying in Songpan Town. The standards of most hotels in the area are not as good as those of equivalent star-levels in the West. China Highlights has carefully selected the best hotel available, based on criteria like hotel environment, location, service, and previous customer feedback. Your guide will accompany you to see your room. If you are dissatisfied and there are other rooms available, your guide will be happy to assist you with changing rooms. Some hotels may close from late November to February of the next year. Please inquire and we will check availability for you. 4. Why Would I Need a Guide in Jiuzhaigoiu National Park? The park is huge! It covers a little over 700 sq km and the routes are almost 100 km (62 miles) long. No matter how many strategies you read, it&apos;s a big challenge to visit all the spots in one or two days. Our guides help to make the most of your time in the park — our guides are local and experienced, spending over 200 days in the park every year. They know the valleys and lakes like their own backyards. Just follow them and you will not have to bother about looking at signs and maps. Based on your strength and the weather, our guide will show you the best route for sightseeing and inform you about the dangerous parts during the tour. They will also assist you to arrange lunch properly. When you get tired of walking on the endless plank, they can tell you how much longer it is to reach the next lake or bus stop. They know which sections of plank are worth walking, and which ones are crowded, steep, or a waste of time and energy. The guide will introduce you to all the information about the attractions and can take you to the best spots for photos.